These are vintage glass buttons. 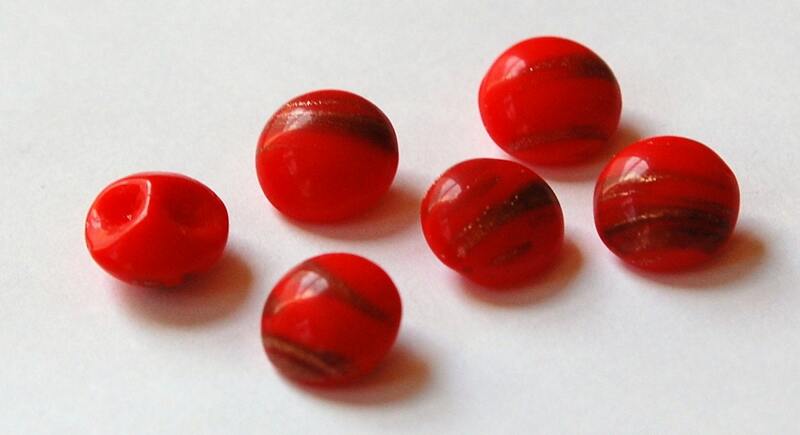 They are a red color with random streaks of goldstone. These have a glass shank. The buttons are not perfectly round. They measure 11mm round X about 7mm thick with shank. You will receive 6 pieces. 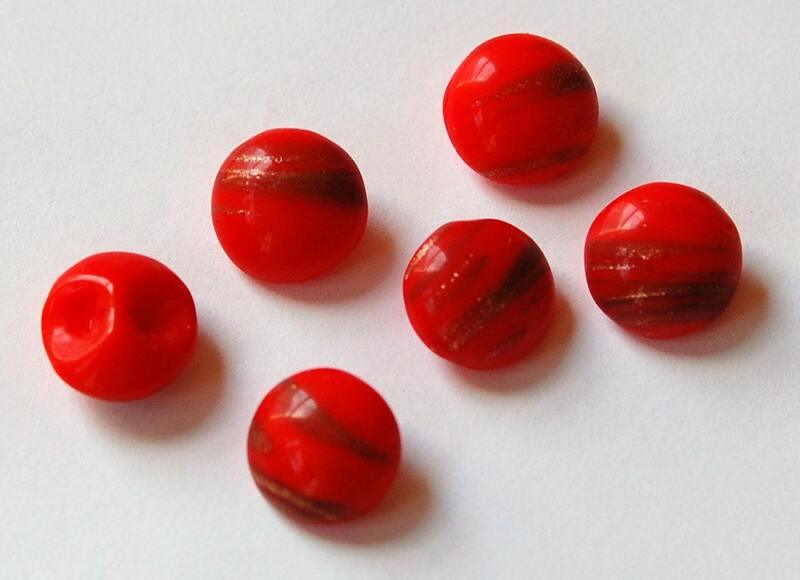 Lovely red buttons for Christmas crafts—easy, prompt transaction Thankyou!